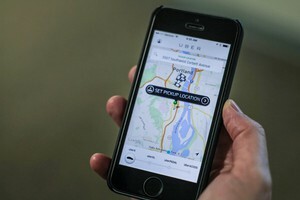 by Dirk VanderHart Follow OPB March 18, 2019 2:31 p.m.
As ride-hailing giants Uber and Lyft push to expand their influence throughout Oregon, state lawmakers face a debate: what rules should the companies comply with when doing so? Two bills before lawmakers this session would sketch very different paths for how the popular companies could move beyond major population centers like Portland, Salem and Eugene to less dense parts of the state. One of the bills, House Bill 3023, would eliminate regulations that currently exist in cities, creating a single standard that Uber, Lyft and their drivers must meet statewide. The bill would bring Oregon on par with the rest of the country — it’s reportedly the only state without some sort of standardized regulations. Another bill, House Bill 3379, would instead place an emphasis on local regulations, setting some baseline standards and requiring that the companies also meet any additional community rules before setting up shop. A joint hearing on Monday showed sharp divisions between groups backing each concept. HB 3023 generated the most attention at the hearing. Favored by lobbyists for Uber and Lyft, the bill is being touted as a way to ensure they can set up shop in rural and urban Oregon alike, without being forced to abide by a host of different rules. 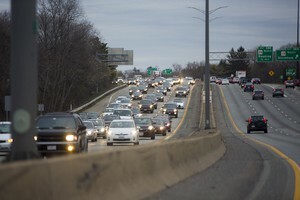 Could Uber Rewards Program Worsen Traffic Congestion? McLain’s bill would establish a permitting system within the Oregon Department of Transportation, setting standards on the types of insurance drivers must carry, requiring that companies complete background checks and setting out what drivers must do after an accident, among other considerations. The Oregon Restaurant and Lodging Association and Mothers Against Drunk Driving were among groups to testify in support of the bill Monday. Several Uber and Lyft drivers also spoke in favor. Among them was Tory Powell, who said working for Lyft had helped him transition from military service to civilian life. “It does afford us veterans a chance to support our families without having the pressure to find or keep a regular job,” Powell said. Another driver said the law would help him work for Lyft as he travels around the state for a second job. But HB 3023 would also preempt tougher local regulations — like first-of-their-kind rules Portland City Council enacted in 2015. Those laws were hammered out after Uber began operating in Portland without permission in 2014, eventually leading to a standoff between the company and city officials. Regulations in the city currently set insurance and background check standards, but also require Uber and Lyft to share a wide array of data with city officials. Salem and Eugene also regulate so-called “transportation network companies” like Uber and Lyft, alongside taxi companies. Unsurprisingly, those cities aren’t keen on letting go of the rules they’ve created. Eudaly and PBOT Interim Assistant Director Noah Siegel said the bill would force Portland to accept watered-down background checks for drivers, and said a $100 penalty for violations under the proposal wouldn’t force Uber and Lyft to comply. 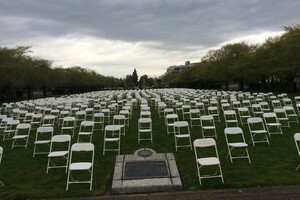 Eudaly further suggested the bill would eliminate the wheelchair-accessible ride hailing service Portland created using surcharges from Uber and Lyft rides, though McLain has introduced amendments to alleviate that concern. HB 3023 also drew concern from environmental and labor groups, which worry that Uber and Lyft increase greenhouse gas emissions and congestion, and don’t treat their workers fairly. Taxi companies believe the law would make it far harder to compete with ride-hailing services. While much of the hearing was focused on HB 3023, Eudaly and Eugene City Councilor Jennifer Yeh instead testified in favor of House Bill 3379. The bill was crafted over a course of months by a workgroup led by state Rep. Paul Holvey, D-Eugene, who’s also a chief sponsor. Rather than uniform statewide standards, HB 3379 sets minimum standards localities must put in place if they choose to allow Uber and Lyft to operate. That includes similar insurance requirements as proposed by the other bill, background checks conducted by law enforcement and rules for data sharing. Cities would be free to go further than those regulations. They could also enter into inter-governmental agreements with other cities, agreeing to allow drivers permitted in a neighboring locality to operated in their bounds.